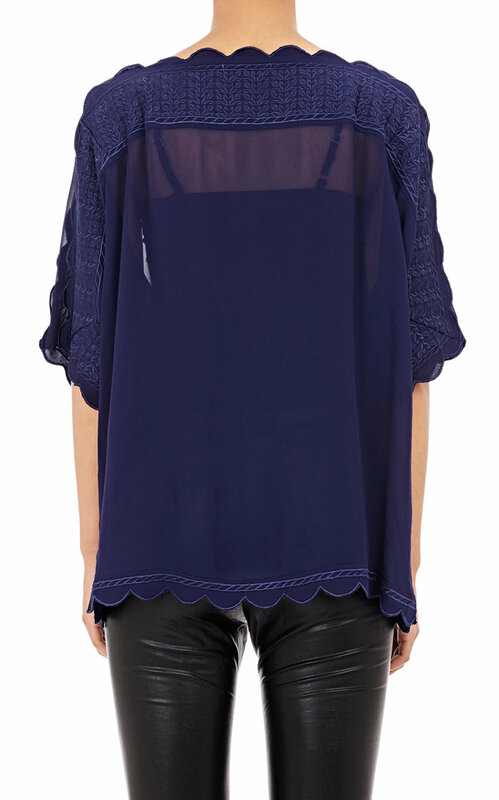 In a 2015 photoshoot, to promote Foodstirs, Sarah Michelle Gellar can be seen wearing an Isabel Marant Étoile Embroidered Chiffon Axel Blouse in Navy. 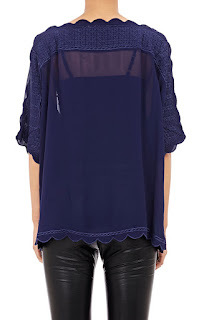 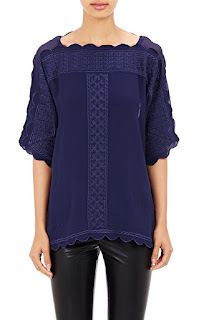 The top has a Scalloped bateau neck, shoulder yoke at front and back of the sleeves. 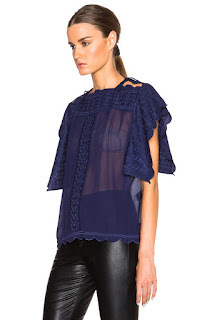 It is made of 100% viscose.